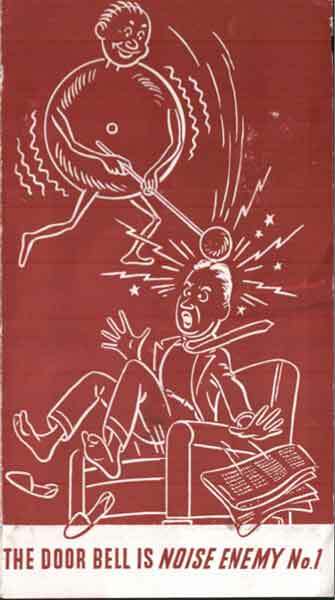 The premise that a doorbell made noise and a door chime was pleasant to the ears was quite the hot topic in the 1930s. 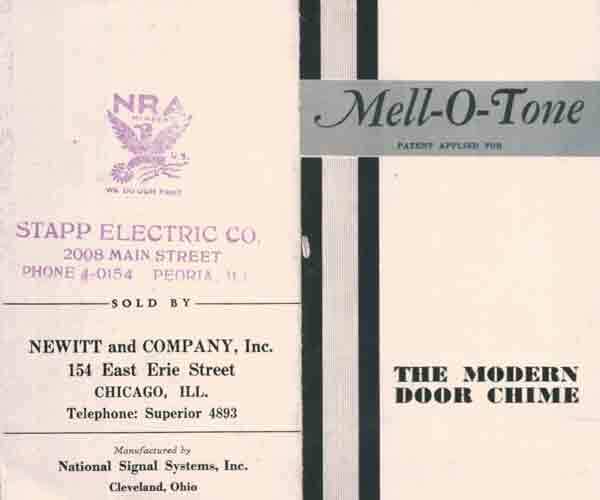 Although electric doorbells had only been common for about 25 years in American Cities and less than 5% of farms even had electricity as late as 1936, marketers were busy convincing consumers they needed a door chime to live in peace. “How often has the peace and quiet of your home been disturbed by shrill, nerve-racking ringing of a door bell? Has your door bell ever gone out of order at just the wrong time, causing confusion and embarassment? Frankly, there’s no place in life for such trivial things as “door bell problems.” That is why modern households rely on the soft, melodious call of Mell-O-Tone door chimes to announce visitors. 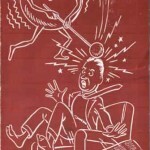 The A.E. Rittenhouse Company, like many other manufacturers, soon joined the door chime chorus. The A.E. Rittenhouse Company, Inc. I feel that I must tell you how much we appreciate the Rittenhouse Electric Door Chime which has been the center of attention in our home ever since its installation.The attractive design adds a beautiful decorative effect to our hallway. And the soft-tone of the chime is so soothing to the nerves—such a relief from our noisy buzzer. Truly, I often wonder how we ever put up with such an old-fashioned, nerve-wracking noise for so many years. 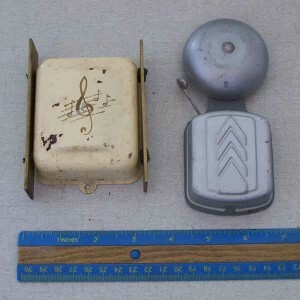 At least one manufacturer built a true ding-dong chime that was no larger than a standard doorbell and was meant to occupy the same space as a doorbell or buzzer. This is the smallest true door chime in the Doorbell Museum.